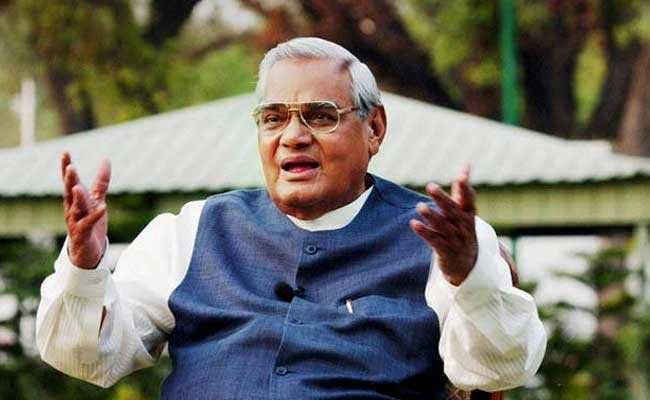 NEW DELHI: A life-size portrait of former Prime Minister Atal Bihari Vajpayee will be installed in the Central Hall of Parliament on February 12. According to the government source, President Ram Nath Kovind will unveil the portrait in the presence of Vice President M Venkaiah Naidu, Speaker Sumitra Mahajan, Prime Minister Narendra Modi among others. The decision in this regard was taken unanimously on December 18, last year at a meeting of the Parliament’s portrait committee chaired by Lok Sabha Speaker Sumitra Mahajan. Congress leader Mallikarjun Kharge, Deputy Speaker and AIADMK leader M Thambi Durai, BJD`s Bhratruhari Mahtab, TMC`s Sudip Bondopadhyay, TRS` Jithendra Reddy, Shiv Sena`s Ananth Geete and BJP`s Satyanarayan Jatia had attended the meeting. 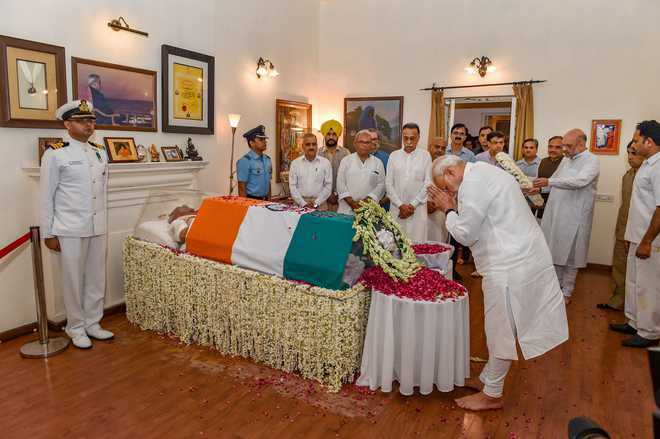 Vajpayee, considered among India’s tallest political leader, was the first Prime Minister from outside the Congress to serve a full five-year term between 1998 and 2004. He was also a recipient of India’s highest civilian honour, the Bharat Ratna, which was conferred on him in 2015.